HVAC (Heating, Ventilation and Air Conditioning) problems can be endlessly frustrating. They can make the winter months absolutely miserable. Nothing can make you appreciate a reliable heating system better than one that doesn't work. When you're searching for HVAC repair North Bay, Ontario residents can trust, Heating and Cooling North Bay on McIntyre Street West is the local company to contact. We offer all of the finest professional HVAC services in the region. Our technicians can accommodate all of your heating and cooling needs and more. Cold temperatures are never a good thing. If the temperatures on your property are making you feel uncomfortable in any way, you need to do something about them as soon as possible. Increased monthly bills also require your immediate and full attention. If your bills out of nowhere seem totally outrageous and inexplicable, then that probably means that your system is putting in too much effort in order to function properly. Bizarre sounds require your attention as well. If your heater is making sounds that you simply cannot explain, then you need to take notice. Broken heaters frequently result in banging, thumping and rattling sounds. Furnaces generally aren't too quiet. That doesn't mean, however, that incessant unusual sounds are a normal thing. Persistent sounds frequently signify loose elements inside of your system. If you dismiss loose components, they made lead to significant system damage. Don't make that mistake. Damage can in many cases lead to complete replacement. A faulty furnace can bring on all types of issues. If your furnace is in trouble, you may experience airflow that's insufficient and just plain feeble. You may start smelling odors that are awful and stubborn. These odors frequently are musky and dusty. You may experience energy efficiency shifts. You may even have a thermostat that doesn't react to commands properly anymore. Take a close look at your thermostat. Is it showing temperatures that just aren't correct? Is it "ignoring" you any time you try to change the temperature in your home? Is so, electrical issues are most likely to blame. If you're on the lookout for qualified and dependable furnace repair in North Bay, our technicians can cater to your requirements fully. Heating and Cooling North Bay is a reputable HVAC business that offers superb value for your money. If you have furnace woes in North Bay, you don't have to worry about the cost of fixing them. Our rates are always 100 percent reasonable. Dealing with a broken heater in the area doesn't have to make you panic. We can provide you with thorough, comprehensive and patient service that's affordable and strong in quality. It doesn't matter if you need full heating system installation or if you simply need to take care of a relatively small electrical matter. Our team members can provide you with the finest and most economical heating system service around. When you need professional furnace repair service that's tried and tested, competitively priced and totally effective, you can count on our world-class expertise and skills. Our company is based in the heart of North Bay. We, as a result, proudly and enthusiastically cater to customers all throughout the community. We also cater to the needs of customers located in nearby communities such as Cache Bay, Astorville, Verner, Crystal Falls, South River, Perry, Redbridge, Lavigne, Sturgeon Falls, Marten River, Restoule, East Ferris, Magnetawan, Chisholm, Callander and West Nipissing. These are just a sampling. When you need HVAC repair North Bay and beyond can lean on, our team can help you out. Don't let heating system woes get you down in North Bay. Heating and Cooling North Bay can help you take care of all kinds of furnace issues. 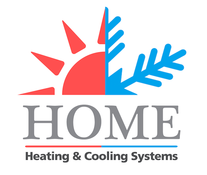 Contact our reliable and established 24-hour HVAC firm as soon as possible for more information about our work. Contact us to schedule an appointment for service today.